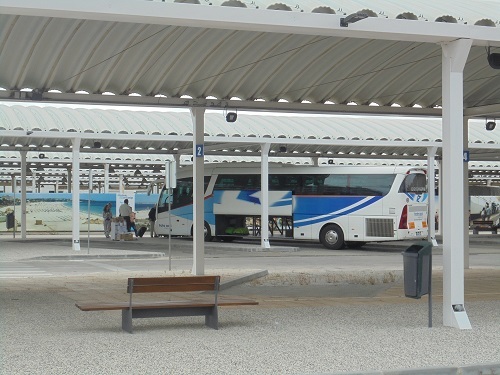 A new bus station has opened in Portimão to the north of the city centre. It is currently being used by all LONG DISTANCE buses (coaches) to and from Lisbon, Seville etc. There is no information I can find about whether or even if local and regional buses will start to use it. 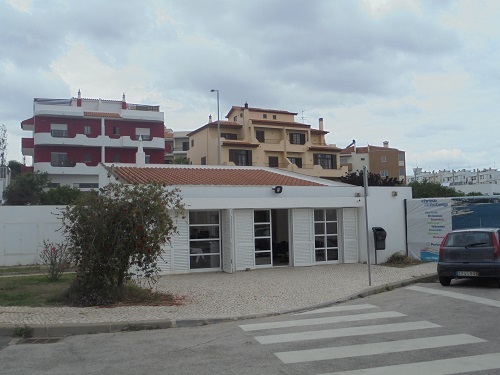 The new facility is located in Rua da Abicada near the Portimão Arena. Map here. NB there is no 'shortcut' between the railway station and bus station. This is so far from the city centre bus stops that a local 'shuttle' bus has to be provided to link them. Times here. It is not known at this time when other local routes will be adjusted. There is a taxi rank marked outside the bus station but I saw no taxis on any of my three visits. There are NO signposted walking routes to or from this location. The walking route on my map is about 12 minutes walk, flat and alongside the river. If you don't want to wait 45 minutes or pay for a taxi to travel 1.5km (a bit less than a mile) and don't mind a walk, here's how to do it from the place where local buses stop and most of the city centre. It is flat and not not unpleasant as you go alongside the river. First head towards the two bridges, following the obvious marked paths by the river. Go under the first (road) bridge then under the second (railway) bridge. 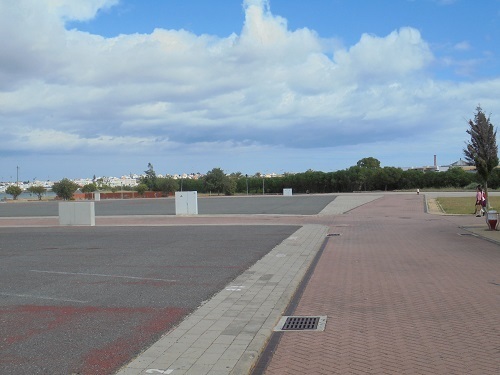 of the big shiny building of the Portimão arena. You will see buses in front of you but that is not it. That's the bus maintenance depôt. Follow the red brick road and you will see a gate. It is open! 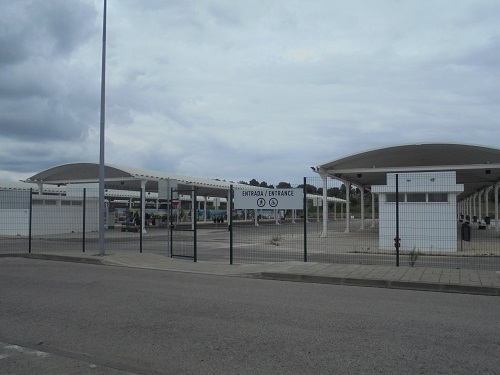 Go through the gate and the bus station entrance is directly in front of you. 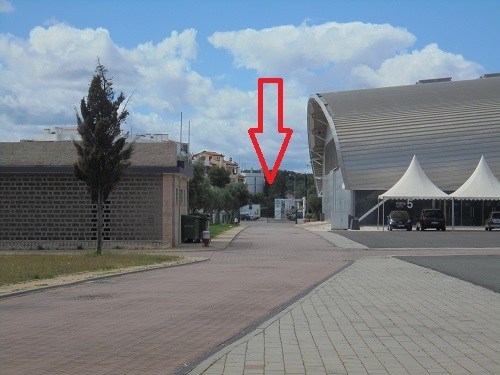 Inside is a ticket office and small waiting area, otherwise it is an open air facility. NB the ticket office opens at 0610 weekdays, 0700 weekends and holidays closing at 2030hrs daily. If you are travelling outside those hours, you must obtain a ticket in advance or from the website. 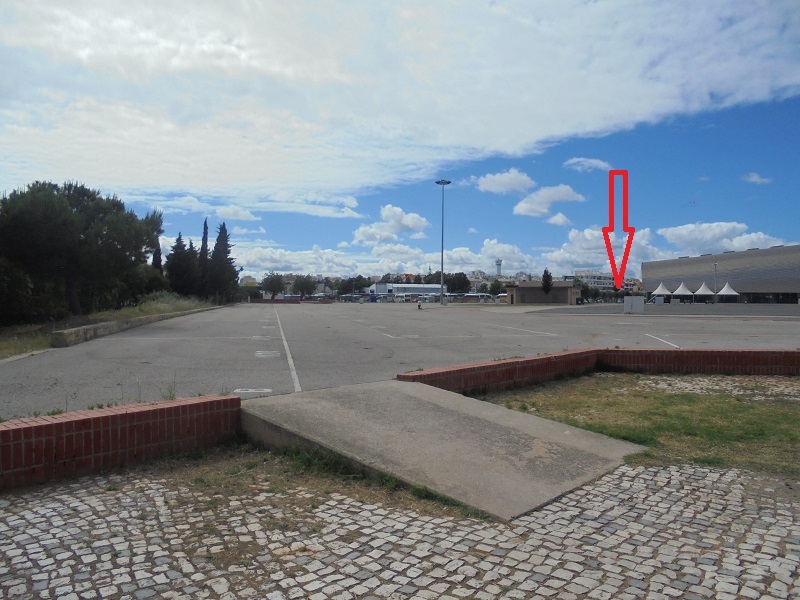 If you get off at Portimão, here's how to find that way once you have finished wondering 'where on earth am I'? 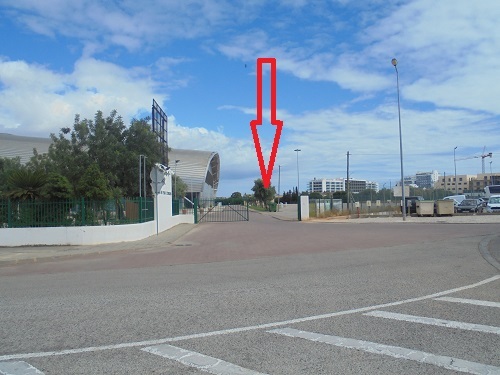 Come out of the bus station, look to your left across the road and spot the green gate. Go through the gate and follow the red brick road towards the trees. - picture bottom right - and head towards the river when you get there. RAILWAY STATION - if for any reason you need to go to or from the railway station, this is a real pain as it is quite a walk because of the industrial area in between. Come out of the bus station, turn right and follow the road to the end, turn left, go over the level (grade) crossing, then turn left again and keep going. About a 10 minute walk. Coming from the station, turn right and follow the road to the end, turn right again, go over the crossing and turn right again. There are absolutely NO signposts.